In May 2017, Atlanta became the 27th city in the United States to commit to 100 percent clean energy. This outcome prompted the creation of the Office of Resilience, which envisions Atlanta to be entirely powered by renewable energy. Then in June 2018, Atlanta’s city officials created a new roadmap for sustainable city living by outlining options to fight climate change, boost the economy, and ultimately improve the lives of its citizens. The initial plan indicated that the city would be 100 percent green by the year 2050—but this was 15 years longer than what city officials agreed on in their 2017 discussions. Thus, city officials accelerated the plan to fulfill its goal by 2035. Based on the collective input of the Atlanta community, there are several possible pathways to have renewable energy power for a sustainable future. But for their particular city there are three key strategies: consume less electricity by investing in energy efficiency, generate electricity from renewable sources, and finally, purchase renewable energy sources. 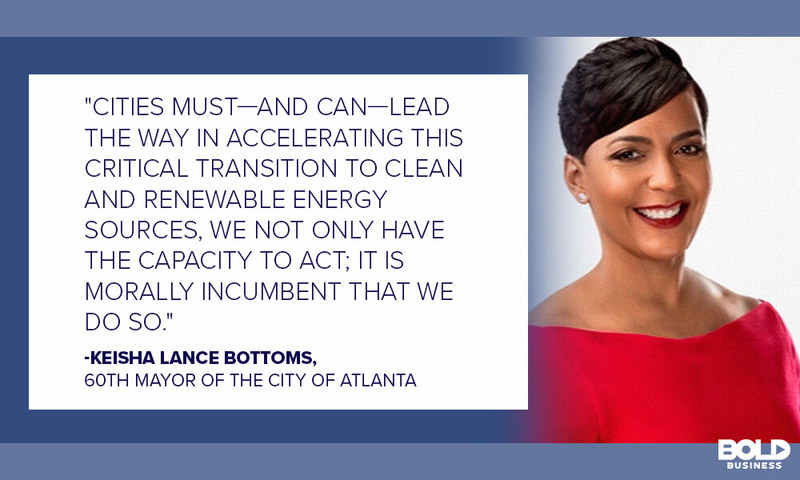 Atlanta has committed to 100% clean energy by 2035. Check the city’s key strategies. Every Atlanta citizen is entitled to equal opportunity. However, there are hurdles to clean energy in some communities. There will be initiatives in place to make access to clean energy more inclusive. City officials are trying to understand what these barriers are and how they can help these communities beat these barriers to pursuing clean energy. The plan includes creating skilled jobs in the clean energy sectors, like energy efficiency and rooftop solar. As a result, there will be higher incomes for skilled workers as well as an increased GDP for the city. 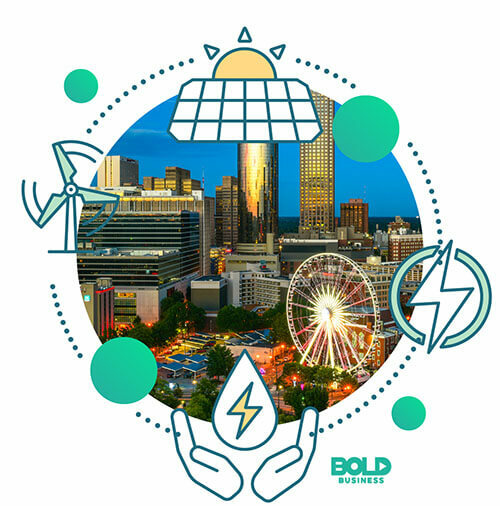 While not all clean energy options offer the same positive impacts, Atlanta will prioritize those options that will thoroughly benefit its local economy. Pollutants from fossil-fuel power plants are detrimental to the health of every citizen in Atlanta. Reducing energy consumption and prioritizing other electricity sources would, therefore, create a healthy impact on the well-being of every individual. This action would also alleviate the energy burden on the citizens. Moving to renewable energy requires a lot of money. The city wants its investments to be cost-effective to ensure that they are smart uses of resources. Electricity powering Atlanta must come from clean energy sources. These sources refer to energy efficiency through wind, solar, low-impact hydroelectric, geothermal, biogas, and wave technology sources. Indeed, many clean, renewable energy alternatives are in use worldwide. Let’s look at a few in detail. First, there is wind energy. More than three-quarters of US states produce wind energy on a large scale. These wind turbines convert wind energy into kinetic energy, and then into electricity, which is then distributed via power grids that serve communities. Second, there are smart grids. Utility companies have now developed power connections to be two-way connections, while also integrating other forms of smart technology. If an area has a power failure, smart sensors reroute electricity faster and more efficiently. It also helps utility companies burn fewer fossil fuels in the future. And third, there are fuel cells. Inside power plants, natural gas or biogas is converted directly into power. These fuel cells create water, electricity, and heat, with only water and air as emissions. 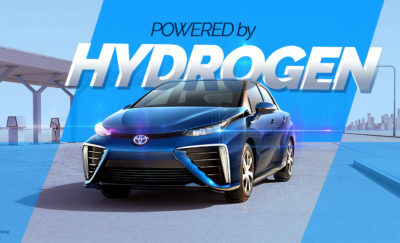 Fuel cells produce virtually no pollutants and low carbon dioxide—thus, it provides clean energy that benefits its customers. In May 2016, Atlanta was recognized as a Resilient City through the Rockefeller Foundation. Resilient Cities receive funding to hire a Chief Residential Officer who will lead plans to make cities stronger and more equipped to withstand any environmental or urban stresses that affect them. This matter spurred the city to focus on building a strategy that supports its physical, economic, and social growth. As a resilient city, and now as a city moving forward into a green future, Atlanta calls upon its residents to participate in the sustainable urbanization of the city. Various initiatives and providers are paving the way for Atlanta’s renewable energy plan. One of them is Solarize Atlanta, a community-based solar energy group purchasing campaign that makes solar energy more accessible and affordable to Atlanta citizens. The more people sign up to have the solar panels installed in their homes, the prices of the solar panels go down. They also get to decrease energy consumption, increase savings, and drive up the selling price of their homes by up to $15,000. The city also permitted the installation of solar panels on city-owned buildings through the Solar Atlanta program. This fact makes it the most extensive municipal program in all of Georgia. Currently, there are 24 project cites—recreation centers and fire stations that have up to 1.25 MW of solar power. Concerning biomass (deriving energy from burning wood and other organic matter), there’s Biomass Georgia. It uses lower-value lumber for wood fire, and sources wood from forests with regrown trees. As a result, Biomass Georgia causes forest coverage to increase. 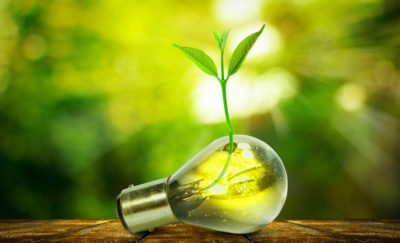 Biomass is undoubtedly part of the solution to climate change, as sustainable biomass is part of nature’s carbon cycle. Another company that makes renewable energy more accessible is Infinite Energy. It allows customers to purchase energy from solar and wind power through Renewable Energy Credits or RECs. It offers a month-to-month service that powers homes at a cheaper rate, without emissions, and helps the renewable energy market to grow. Climate change is upon us. What Atlanta is teaching the rest of the United States and the world about it is that it takes thoughtful, incremental steps to achieve renewable energy power for a sustainable future. It now depends on the citizens of Atlanta to decide to collaborate and execute the strategy on a city- and household-level. 2035 may be a distant future, but developments are underway. Moreover, with new green innovations coming out every day, Atlanta could ultimately be the blueprint for sustainable smart cities all over the globe. Inevitably, such a phenomenon would significantly and positively affect the future of not only Atlanta but also the whole world.